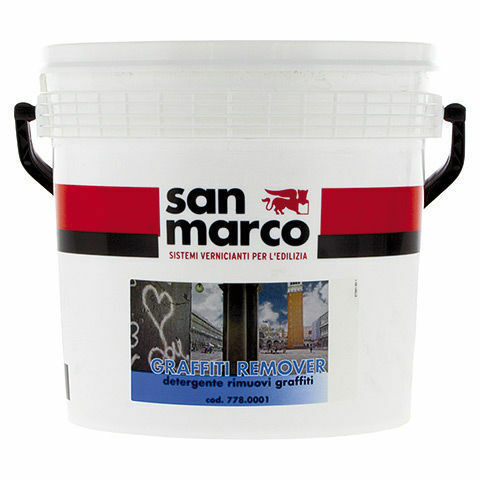 Masonry paint remover - GRAFFITI REMOVER - Colorificio San Marco S.p.A.
Flooring & Wallcovering > Paint, Decorative plaster > Masonry paint remover > Colorificio San Marco S.p.A.
GRAFFITI REMOVER Colorificio San Marco S.p.A.
GRAFFITI REMOVER is a gel product formulated to remove defacing effected with enamel and other paints on natural and artificial stone surfaces, cement conglomerates and brick. It is easy and rapid to use. The product must not be used on surfaces decorated with paint as it will result in cosmetic damage of the surface.